Starts today ... until Saturday, March 9! 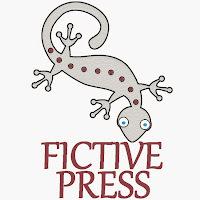 Start reading any of Fictive Press' 18 titles in your favourite ebook format. All titles now just $2.25 USD each. Save 75%. Only until March 9! P.J. le Pooch Goes to the Knowlton Literary Festival! P.J. 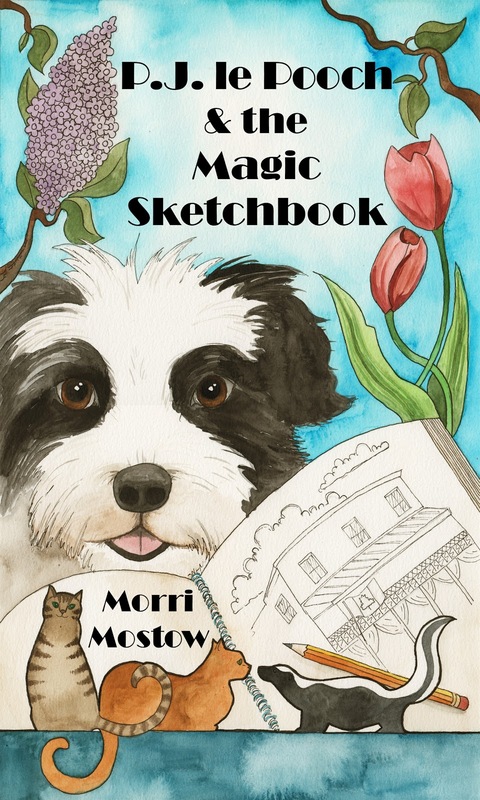 le Pooch and his author, Morri Mostow, are excited to be participating in the Local Author's event that kicks off the 9th edition of the annual Knowlton Literary Festival in Brome Lake, Quebec, on October 11, 2018. Morri will be talking about her series for kids 8 - 12, set in a fictionalized Brome Lake, particularly the newest book in the series, P.J. 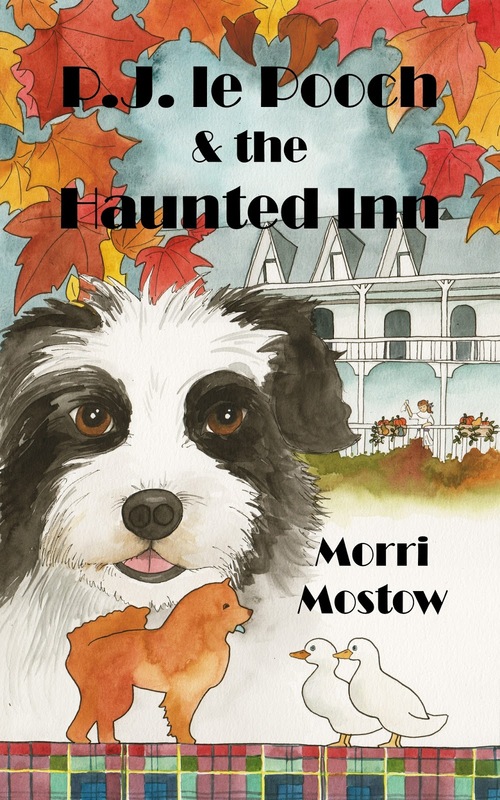 le Pooch & the Haunted Inn, published in 2018. P.J. le Pooch # 2 Now Available to Order! A GIRL & HER DOG ... THE MAGIC CONTINUES! In this second instalment of the P.J. le Pooch series, it is now autumn in the charming Quebec village of Brine Lake, a season of mists and magic in which the mysterious Lola Lamour continues to cast her spell. P.J. le Pooch, now a trusted “store dog” at Coin Héritage, helps 12-year-old Millie McTwitter and her best friend, Cassandre Bédard, solve a crime and discover something surprising when a ghost at the inn asks for their help. The P.J. le Pooch series is available at Page's Resort and Marina Bookstore on the south end of Gabriola Island. 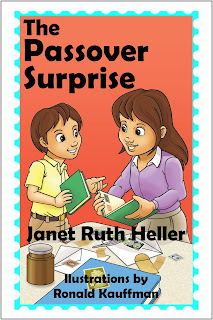 Sibling rivalry and favoritism is the subject of Janet Heller's children's book, The Passover Surprise (Fictive Press, 2015), as Heller explains in this personal and insightful video interview. 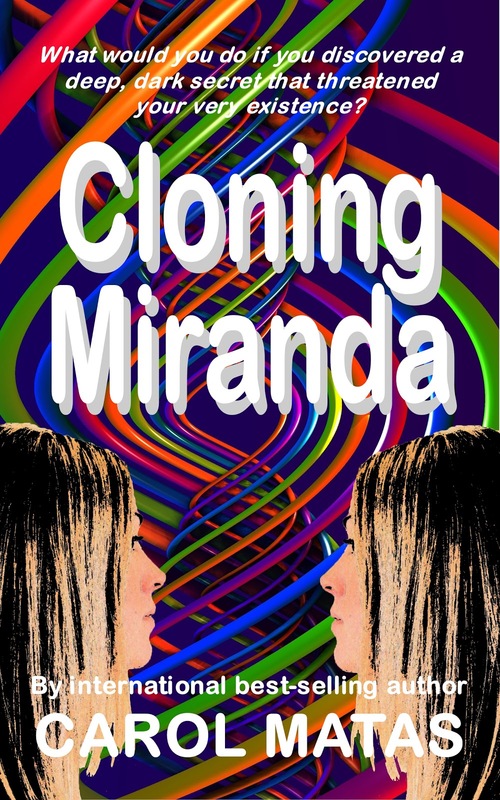 Carol Matas' sci-fi thriller for middle grades is now available with new cover art and a new title that convey exactly what the book is about: cloning! Readers 10 and up will love this fast-paced, thought-provoking novel about the possibilities and perils of this leading edge technology. 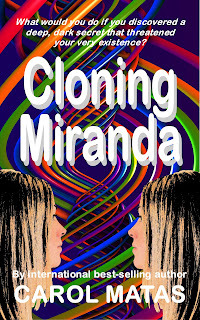 Click here to get Cloning Miranda in paperback or in your favourite ebook format. With the support of Simon Fraser University, the family of Ralph Hancox has established a Memorial Scholarship in Ralph Hancox's name. A scholarship fund for students in the Master of Publishing Program will be established to honour Ralph’s commitment to the publishing industry and his dedication to his students at Simon Fraser University’s Master in Publishing Program. The purpose of the scholarship will be to support a master’s student education recognizing that Ralph valued education, writing and a wondering mind and his students who demonstrated these qualities. Ralph joined the SFU staff and worked as Adjunct Professor in the late 1990’s. He worked with Anne Cowan-Buitenaus and Rowland Lorimer in the newly established Master of Publishing Program. Ralph served as Adjunct Professor and Professional Fellow Emeritus at Simon Fraser University where he published a textbook on ‘Managing the Publishing Process’ for the Canadian Center for Studies in Publishing. There, he was honored with the Chancellor’s Award for Distinguished Service for 10 years of teaching before he retired again at the age of 80, in 2009. For more information or to contribute to the Ralph Hancox Memorial Scholarship, click here. Ralph recently published three works of fiction with Fictive Press: his crime duology, Con Job and Scandal, and his novel of social commentary, The Ape & the Peacock. It's great to have readers around the world. These P.J. le Pooch fans are from Great Britain! Book II in the P.J. le Pooch series – P.J. le Pooch & the Haunted Inn – is now in production. Stay tuned! OCTOBER FERRIES TO GABRIOLA LAUNCHED IN STYLE! It was another full house for Charlotte Cameron at the Gabriola Library for the launch of her play, October Ferries to Gabriola. Thank you to everyone who attended and the actors who dramatized two scenes. Note: Her book is half price in ebook format until July 31! P.J. le Pooch Gets Top Rating from CM! I'm working on P.J. le Pooch's next adventures for middle-grade readers, so it's very gratifying—not to mention, motivating!—to have his first novel get such a glowing endorsement. *CM: Canadian Review of Materials is a prestigious online publication, from the University of Manitoba, of particular interest to teachers and librarians. Surprise your Kids for Passover! 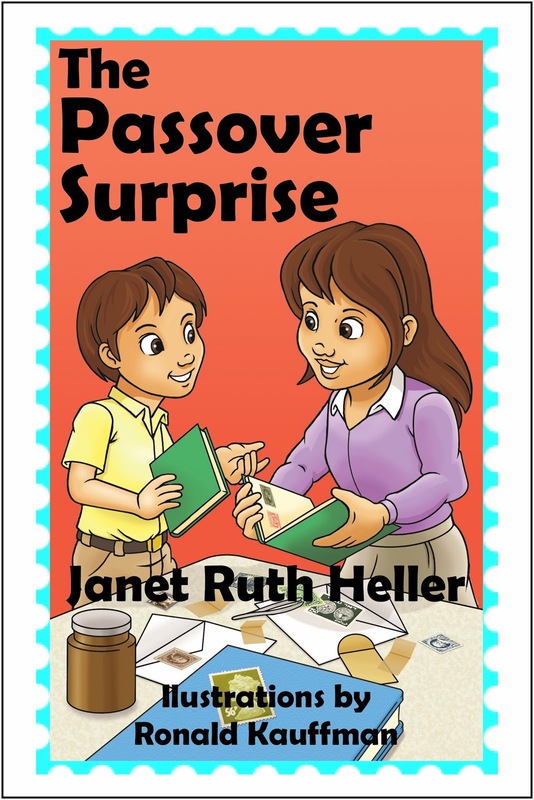 "Janet Ruth Heller’s The Passover Surprise is a nicely illustrated chapbook for young readers with clear print, great chapter titles, well-placed black-and-white illustrations, and a pleasing lesson well-told. The story’s set around 1960, when civil rights hit the schoolroom and the news, fathers might have served in the Second World War, and girls were still not supposed to like the same things as boys. It’s a deceptively simple tale in which life isn’t fair, but love and trust, with a measure of kind communication, might ease the pain. "Readers will learn about sibling rivalry and parental mistakes, while absorbing the joys of stamp collecting, Jewish Sabbath and Passover, and family love. As Lisa learns of the world’s many faults, her own problems fall into pleasing perspective, and her mother’s advice proves wise and comforting.